Manchester City will take to the field against Tottenham Hotspur in the second-leg of the UEFA Champions League quarterfinals at the Etihad Stadium on Wednesday. 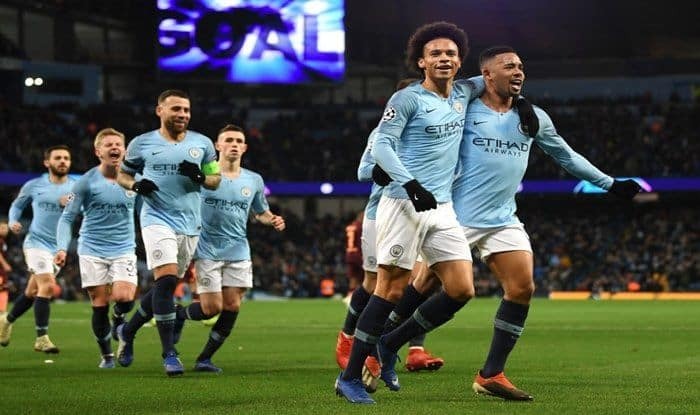 Manchester City will take to the field against Tottenham Hotspur in the second leg of the UEFA Champions League quarterfinals at the Etihad Stadium on Wednesday. In the reverse fixture of the tournament, it was the Mauricio Pochettino side who defeated the high-flying City side to attain a one-goal advantage. The Pep Guardiola-led side will aim to overturn the 1-0 deficit in a bid to advance to the semis of the coveted competition. The veteran coach had won the title on two occasions previously in 20019 and 2011 and also won it as a player in 1992. “Do I have to win it? No. The chairman said I have to win the Champions League three times in a row! “I didn’t come here to win the Champions League honestly. I came here to play the way we played the last 20 months. Manchester City are currently placed second on the league table with a game in hand, finals of the FA Cup and has already won the Carabao Cup. They are aiming for the big quadruple by winning all the trophies, and with the squad they possess, it could very well become a reality. When and what time will the Manchester City vs Tottenham UEFA Champions League quarter-final second leg start? The Manchester City vs Tottenham Champions League quarter-final second leg will start at 12:30 AM IST on April 18. Where will the Manchester City vs Tottenham UEFA Champions League quarter-final second leg take place? The Manchester City vs Tottenham UEFA Champions League quarter-final second leg will take place at Etihad Stadium in Manchester, England. Which channel will telecast Manchester City vs Tottenham UEFA Champions League quarter-final second leg? The Manchester City vs Tottenham UEFA Champions League quarter-final second leg will be aired live on Sony Ten 2/HD. How to watch the live streaming of Manchester City vs Tottenham UEFA Champions League quarter-final second leg? The live streaming of Manchester City vs Tottenham UEFA Champions League quarter-final second leg will be available on Sony Liv.